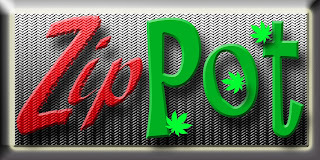 "Zippot" or "Zip Pot" could be a brand name for medical or recreational marijuana product; we believe that marijuana for both medical and recreational use will soon be legal, so this would be a great name for your future marijuana product. 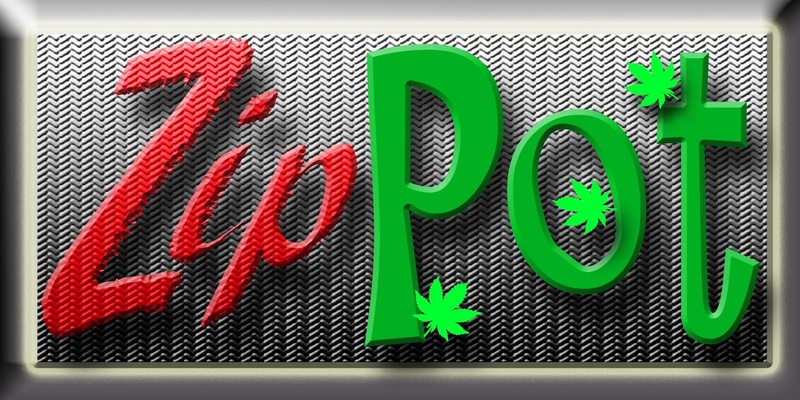 For those who like Zippot or Zip Pot but would prefer to avoid the future marijuana market, we can remove the marijuana leaves from the logo. Indeed, this term is a natural for a potter who creates handmade art pottery. With the "Zip" added to "Pot," you could become the next Mad Potter of Biloxi and create madcap pieces of pottery. We found no trademarks for the singular "Zippot" or "Zip Pot" on the USPTO.gov and Trademarkia.com databases. However, there is a trademark on the plural "Zip Pots" for "agricultural containers, namely, containers for holding seeds and growing plants." Therefore, you would need to consult with a trademark attorney should you decide to use "Zip Pot" in commerce for the manufacture of industrial containers. Also, you would need to take care in avoiding any confusion with the famous Zippo trademark--manufacturing or advertising any kind of cigarette lighters would probably be an unwise move. We took great care in developing a logo that avoids any confusion with any other company's mark.